We've got so much to share, one DN post isn't enough! 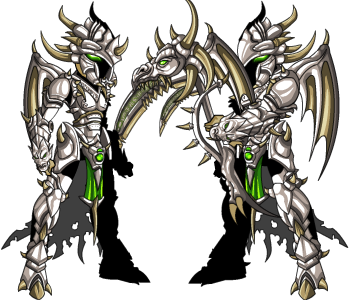 Talk to Quibble to see his latest gear, Dragon-style in honor of Con! Learn the secret mission of the Sisterhood of Dishpan Hands, Lore's foremost Order of Clerics! 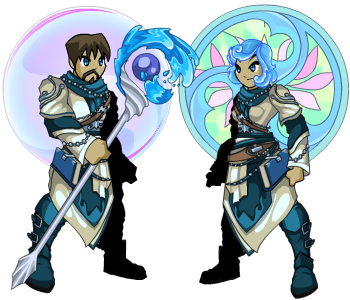 Epic Water-themed rewards will be yours if you help the Clerics! Get the war meter to 100% by Friday, August 31st to win Dage's Paragon Set! * Of COURSE we're going to roll live from Dragon*Con! What better place to release than from 47 stories up, looking down at a crowd of 60,000 people?! Quibble's not Draggin' His Heels - NEW Dragon Gear! Dragons don't much like Quibble - they say he smells disagreeable, and they don't want him near their hoards. But he DID manage to retrieve some never-before-seen-slightly used dragon-themed items from a side-future just in time for Dragon*Con! Talk to him this Friday to grab your own pieces of the Unleashed Dragon Set! Don't miss Solrac's set, and keep an eye out for previews of Dage's Draconic Barbarian set, too! Secrets of the Sisterhood: Get ready to Fight Dirty! Watching, waiting, seeking information... The Clerics of the Sisterhood of Dishpan Hands are quiet, helpful, and inconspicuous. If you asked, they would extoll the virtues of purity and Order, cleanliness and the life-giving power of Water. But their inconspicuous presence masks a more important mission than anyone on Lore suspects - until now! This weekend, travel to /clerictemple and speak with Cleric Dawn. 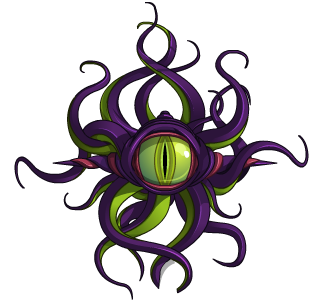 The Sisters need YOUR help to push forward on a quest vital to the safety and security of every creature on Lore! She won't tell you ALL their secrets right away, but once you've gained her trust, you'll also learn the truth! A Tidal Wave of Epic Water Rewards! Be prepared to travel all across Lore gathering the data and surveying the potential trouble sites the Sisters direct you tot. Help them gain the knowledge they need and you'll be rewarded with a deluge of Water-themed rewards! New Ballyhoo Promotion Begins Today! 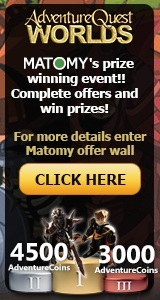 If you haven't ment Ballyhoo yet, head to /battleontown and talk to the elf with the offers! Ballyhoo is the master of Promotions and Hoopla, and she's got a new offer for you. All good Heroes should know the basics of How to Train Your Dragon... and now Ballyhoo has a new ad viewable through September 16th which will help you learn how to do that! View her ad, then open the Magic Treasure Chest for a chance to gain either free AdventureCoins or gold! Players in the United States can view this ad up to 10 times a day! Get Dage's War Meter to 100% by Friday for Paragon Set! Fans of Dage the Evil and members of his Undead Legion have waited long and worked hard to earn his Paragon armor, helm, and cape! You are so close to owning a set of unparalleled, Evil armor... you just need to raise Dage's war meter to 100% by this Friday, August 31st! TRUE members of the Undead Legion can purchase the Paragon Set for Legion Tokens! Dage has not decided on the prices for the Legion Token version of the armor yet, but we'll announce them as soon as he has. The 1000 AC price for Paragon Armor mentioned in previous Design Notes was only if Dage the Evil won the war. He did not win, but was convinced to release it if the meter hits 100% by Friday. The price is now 2,000 ACs. Sorry guys, that's the way the Evil cookie crumbles! War Rewards: What Goes Rare and When! We've mentioned this in previous Design Notes, but we get thousands of new players each month, and new news is better than old news, even if it's the same news. The war content going rare will be removed on September 4th, after the team returns from Dragon*Con. The war rewards - Dage's Paragon and the Legacy of Nulgath sets - will be available until September 21st! You all battled so hard to earn them, we want to give you all extra time to squeeze in that last bit of farming before they're gone. 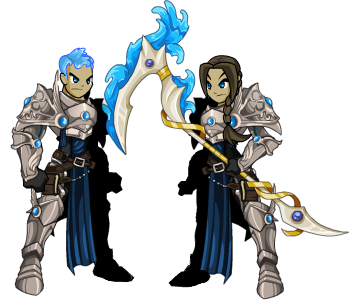 All of the items from the Token/Diamond shops will go rare except the Evolved Blademaster and Abyssal Priest of Nulgath armors! Target and Matomy Promotion Reminders! Don't forget: you need to redeem the Artix Entertainment gamecard from Target stores before August 31, 2012 to unlock the Bullseye Spear! The 2,000 AC version of the spear Valencia is selling will also be removed on August 31st. You have until September 2, 2012 to complete at least one offer through our Matomy AExtras promotion. The grand prize is a combo pack of the black Artix and Sepulchure action figures! You can also win either 3,000 or 4,500 ACs! Sometimes we have ideas in mind when writing the releases that make sense to us, but don't come across clearly to you guys. That happened with last week's Gravelyn release. We'll be going back to it and changing some of the key details to indicate that it takes place AFTER the Doomwood II zone. This should clear up some confusion (and let us keep the easter egg in Drakath's opening scene). Power Gems Issues? Read Here! Some of you are still having issues receiving your newsletter. Please remember the steps to check, and there is now a Help Page FAQ dedicated to these kinds of email-related errors. Make sure your AQWorlds Game Account has a Confirmed Email. Every week, check your AQWorlds Newsletter delivered to your email inbox. Click the special link that you will find in the Newsletters. If you're having issues with your email or receiving newsletters, please see this Email Help Page for more assistance!